Betty Van Vels was a woman of strong family values. She modeled a lifetime rich with hard work, putting others first, and being a loyal wife to her husband, Louis. Betty gave her life selflessly to serving others and loving her Lord and Savior. Her warm personality, cheerful demeanor, and steady patience will be lovingly remembered for generations to come. The Thirties were being marked by tough economic times, yet the decade also saw an expansion of new technologies, especially in the fields of aviation, radio, and film. In 1936 for example, Kodachrome was invented and remained a leader in both cinematography and still photography for many years. In the same year, the Boulder Dam, later renamed the Hoover Dam, was completed and Jesse Owens dominated the Berlin Olympics. Bringing great joy to their world, William and Margaret (Bruinsma) Mead welcomed home their newborn daughter, Elizabeth on March 9th in Grand Rapids, Michigan. Betty grew up with a set of hard-working parents as role models. Her father, William “Bill” Mead was an immigrant from Cambridgeshire, England. He worked as a toolmaker for Ritter Co, in Rochester, New York. Betty’s mother, Margaret (Bruinsma) Mead was a bookkeeper for DeWolf's Grocery store the same place she met Bill Mead. They raised their four children with a strong foundation in faith at the Rochester Christian Reformed Church. 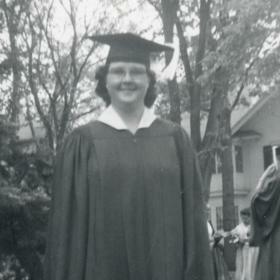 Betty attended Rochester Christian School through the eighth grade before transferring to Webster High School.  Her strong faith practices continued throughout her college years at Reformed Bible College where she served a mission internship in the Lawndale, Chicago area. Later, she completed her degree in elementary education at Calvin College. Betty went on to teach school at Cutlerville Christian as well as Southwest Christian. 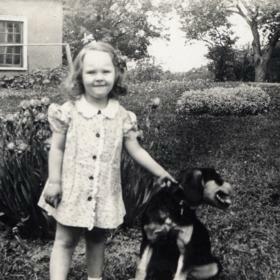 Betty lived a typical childhood filled with fond memories of her growing years. She and her siblings built a solid trust between one another during these times which led them to remain close in their adult years. She and her family and cousins would go skating on the Irondequoit Bay every winter. Family picnics and swimming at area parks along Lake Ontario or Finger Lakes region were highlights each summer on a Saturday afternoon after the chores were done for the day. They were known to celebrate each Christmas at their parent’s home and take annual family camping trips to the Thousand Islands region of New York. As they grew and raised their own families, their reunions also included Florida or meeting halfway between New York and Michigan in London, Ontario for weekend getaways. Most recently they treasured their time with one another vacationing in a cottage on Stony Lake for several years. Not to be forgotten was the meeting of the man of her dreams, Louis Van Vels. Typical for their generation, they met on a blind date through a mutual friend and the rest was history! Eager to spend their lives together, they joined in marriage on February 28, 1991, at the Eastmanville United Reformed Church. Lou found success as a tile layer and Betty was a homemaker at their home on Leonard Street in Tallmadge, Michigan. 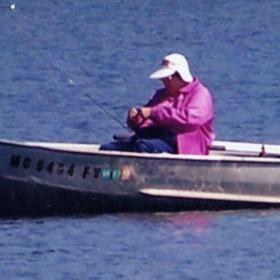 They both held a passion for fishing as well as camping and enjoyed their summers at East Lake Campground for many years. They were true sweethearts and no one ever had to question their love for one another. Later, they moved to a condo in Ironwood Estates. Never one to remain idle, Betty lived an active life. During her later years, she was a Nurses Aid at the Christian Rest Home. She also enjoyed reading, music, and sang in several choirs. Betty never passed up an opportunity to explore a new area as she loved to travel. Kind and compassionate, she regularly wrote letters to her close family and friends. Betty held a deep understanding and commitment to the idea of serving others. She was very involved with several local organizations including a Coffee Break Bible Study, the Crossroads prison ministry, and both she and Lou volunteered playing games with residents at the Christian Rest Home. When they were home with one another, they enjoyed the antics of their furry companion, Buddy, their cat. A woman of simple pleasures and a heart of gold, Betty’s life reflects living with true integrity and empathy for others. There is no greater example of a person filled with the gift of God’s loving grace than the life of Betty Van Vels. She will be deeply missed and lovingly cherished. 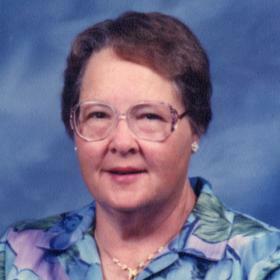 Elizabeth “Betty” VanVels of Grand Rapids, Michigan, age 82, passed away March 28, 2018, at Holland Home Raybrook Manor. Betty was born March 9, 1936, to the late William and Margaret (Bruinsma) Mead. She was a member of Walker United Reformed Church and was an educator for Grand Rapids Christian schools for over 20 years. 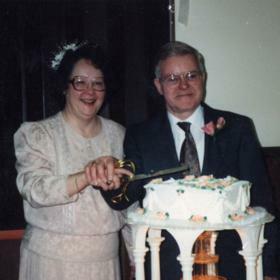 Betty is survived by her loving husband of 27 years, Louis; stepchildren, Darlene (Robert) Nawrocki of Cutlerville, Janice (David) Borst of Jenison, Roger Van Vels of Tallmadge, Cynthia (Ken) Ryskamp of Caledonia; 13 step grandchildren; 7 great step grandchildren; and her siblings, Marcia Ouwenga of Rochester, NY, Bill (Bonnie) Mead of Rochester, NY, and Jan (Verne) Van Houten of Muskegon; and many nieces and nephews. A funeral service will be held Saturday, March 31 at 11 AM at Heritage Life Story Funeral Home, 2120 Lake Michigan Drive NW. Friends may visit with her family on Friday from 5-8 PM and Saturday 10-11 AM at the funeral home. Memorials may be made to Holland Home. 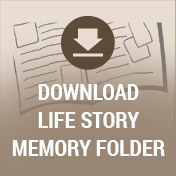 Please visit Betty's web page to read more of her life story, leave a memory or condolence at www.lifestorynet.com.